As we will be mainly focusing on the brand Thrax, we thought it would be the perfect opportunity for us to invite Rumen Atarski, CEO of Thrax to join us for this Ana Mighty Thrax Event… Rumen will host this evening with us and will give you his unique perception of what is High Fidelity. 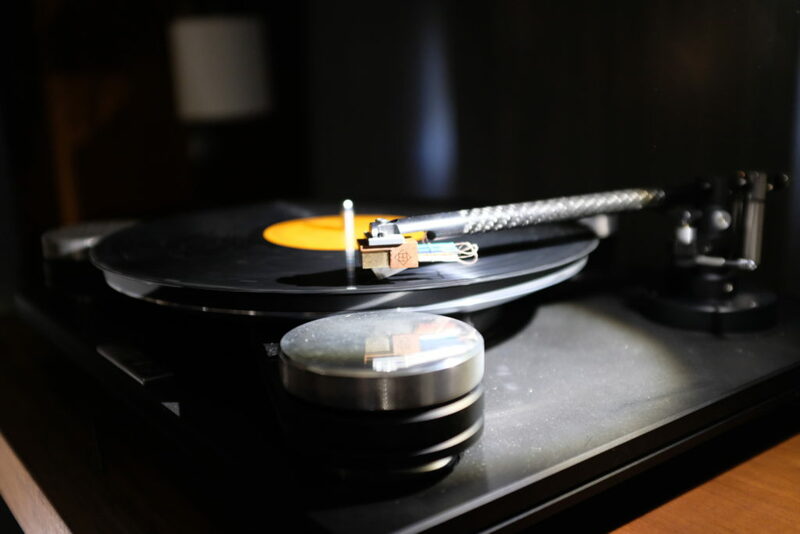 We presented the Thrax Yatrus turntable for the first time in Denver at the Rocky Mountain Show incombination with a Schröder CB tonearm as well as our cartridge Sculpture A model A .4. A compact design yet extremely dense (24kg) providing firm bass, a large soundstage an excellent timbral accuracy. This will be the same exact combination that we will be exhibiting for this Ana Mighty Vinyl Event. 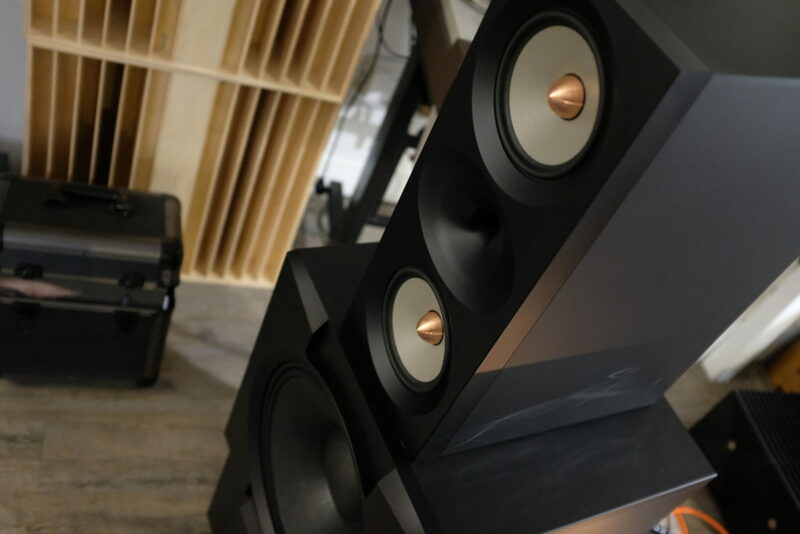 New speakers have also appeared in the showroom. These are a combination of two units built by Thrax. The Basus is a closed enclosure of 135kg with a 15″ motion feedback woofer powered by a 1000W amp. On top of the Basus lays the Lyra speakers using magnesium diaphragms and a compression unit for tweeter. 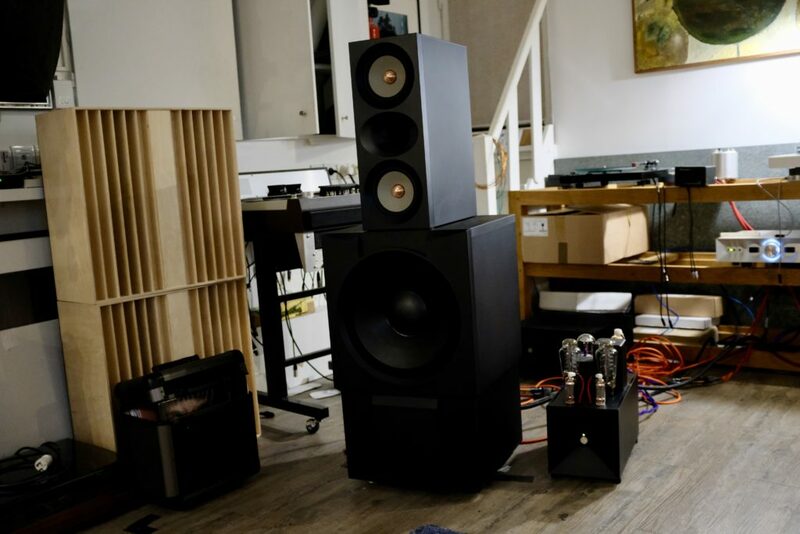 The Lyra have an efficiency of 90dB thus allowing us to use the Thrax Spartacus power amps. Be prepared for a special night ! The Ana Mighty Vinyl Event is held every third Thursday of each month in our Parisian showroom rue de l’Ermitage Paris 75020. These events are limited to 12 persons. The fare for the evening is of 57.50€ by Paypal to semi-fredo@wanadoo.fr or 55€ by bank transfer, check. Please do confirm your reservation as soon as possible by contacting us at : info@anamightysound.com and keep in mind that the booking is only confirmed by your payment. This entry was posted in blog and tagged Ana Mighty Viny, Basus, Lyra, Sculpture A, thrax, Yatrus.